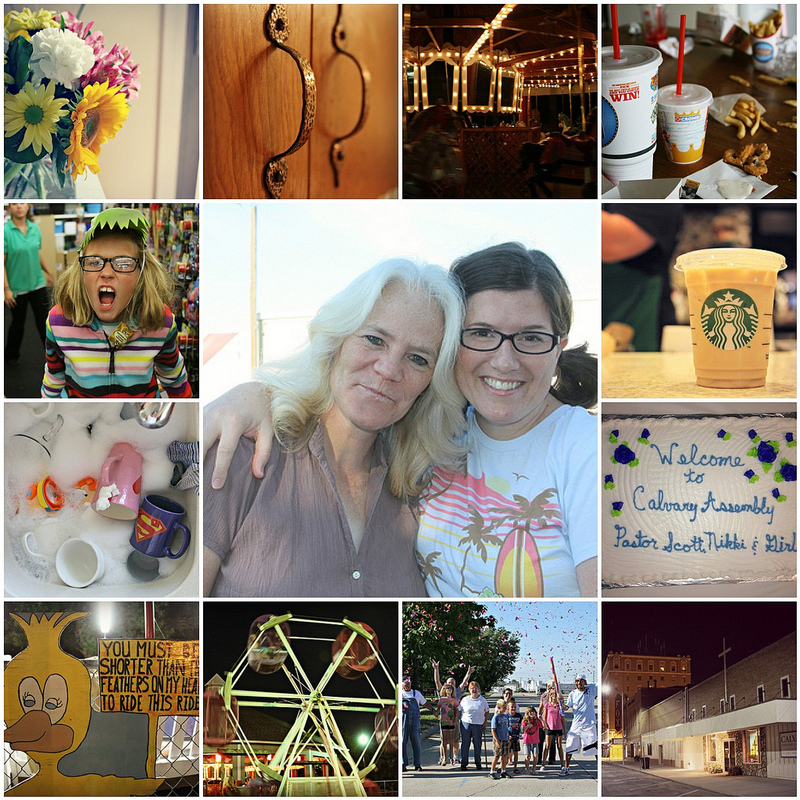 I know I'm about a week behind, but I'll post last week's Week-in-Review anyway. Some Sunday reading for my fans. And tomorrow I'm back on schedule with the regular Week in Review postings. ...cried my little heart out as I hugged Susan goodbye. ...arrived to my new home, which I'd never seen the inside of. ...was more tired than I have been in a long time. ...hung out at Starbucks. A lot. ...took the girls to a park one evening with kiddie rides. ...ate the most delicious soft serve ice cream cone at Cody Park. ...spent a long, lovely amount of time walking up & down the aisles of Goodwill. ...longed to knit, yet had no time. ...found out that when I order a blended chai latte, I'm basically ordering a chai frappuccino. ...had an AWESOME first service at our new church! ...ate lots of yummy food at a 'Welcome Dinner' hosted by our church. good luck to you and your family in NP!!!! There is a neat fabric/quilt shop called Prairie Point Junction in Cozad (about 50 miles E on I80). I have never been but their website makes me want to go next time I am in Nebr.! (woolfeltcentral.com) It's on the way to Kearney, which has a Target!! !